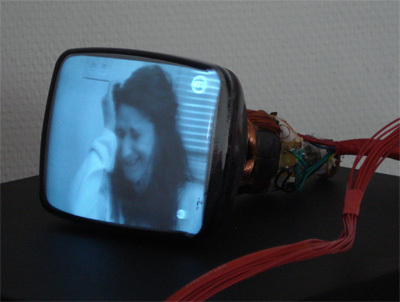 A TV screen is extracted from its frame and replaced by a convex mirror. 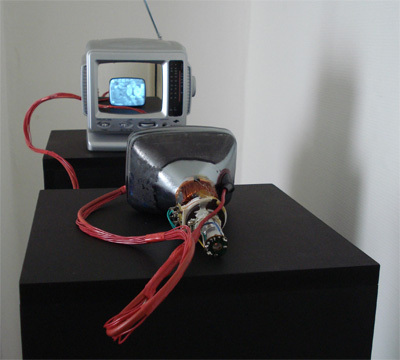 The screen is reattached to the “body” through a long cord of electrical wires and continues to diffuse a regular TV channel. 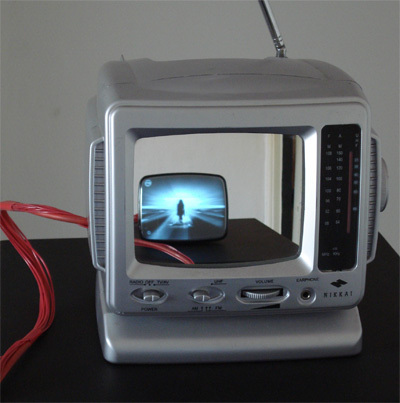 Nourished by images in this way, the screen reflects itself in the mirror. 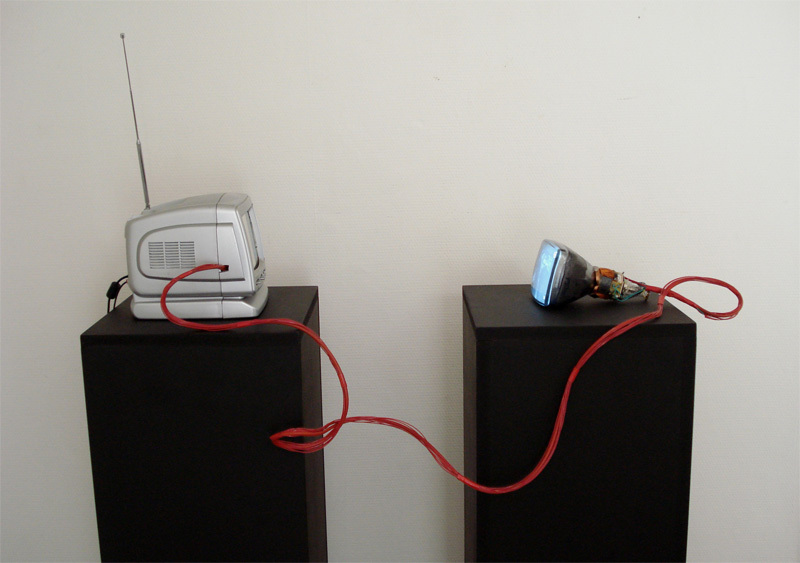 The sound is still diffused by the frame of the television. "I want to confess as honestly as I can, but my heart is empty. And emptiness is a mirror turned to my own face. I see myself...and I am seized by disgust and fear. Through my indifference for people, I've been placed outside of their society. Now I live in a ghost world enclosed in my dreams and imaginings."